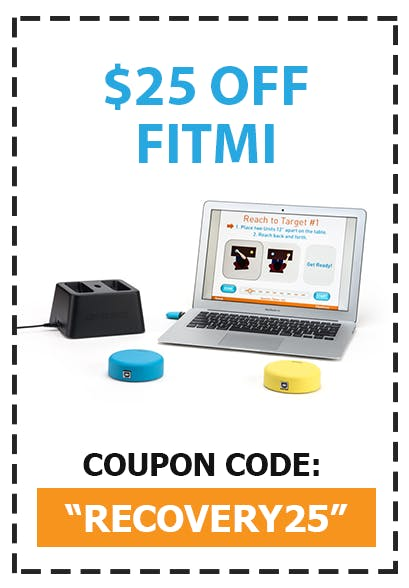 Deal of the Month: Get $25 Off FitMi! Right now, you can get $25 off FitMi with the code RECOVERY25. We offer the lowest price on FitMi when you buy direct from our site, and this coupon makes it the best deal possible! Simply enter the code RECOVERY25 into the coupon code box at checkout to save $25. Offer applies to FitMi, MusicGlove, MiGo, and Cycli. Code expires at the end of this month. To return to your cart, click here.